We visited the farm labor fantasy camp yesterday. 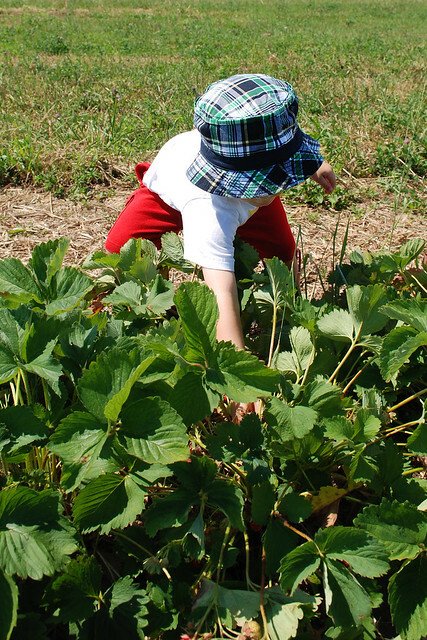 You get to do all the work in the fields, sweating in the sun while searching the rows of plants and picking your own strawberries. Then you pay for them and go home. It's better than it sounds, though. You get to eat them all at the end. More strawberry picking is on Flickr.